Long before the “Farm to Fork” campaign was even a thing, there was one Illinois farmer way ahead of the game. What started out as a seedless watermelon venture soon morphed into a third-generation family business. Today that same man, Bill Meyer, now 83, is working alongside his son, Mark Meyer and his family, to bring central Illinois some of the best locally grown produce this side of the Mississippi. Some of the Meyer’s homegrown produce. Be sure to “Like” them on Facebook. AER: Please tell us about Meyer Produce. 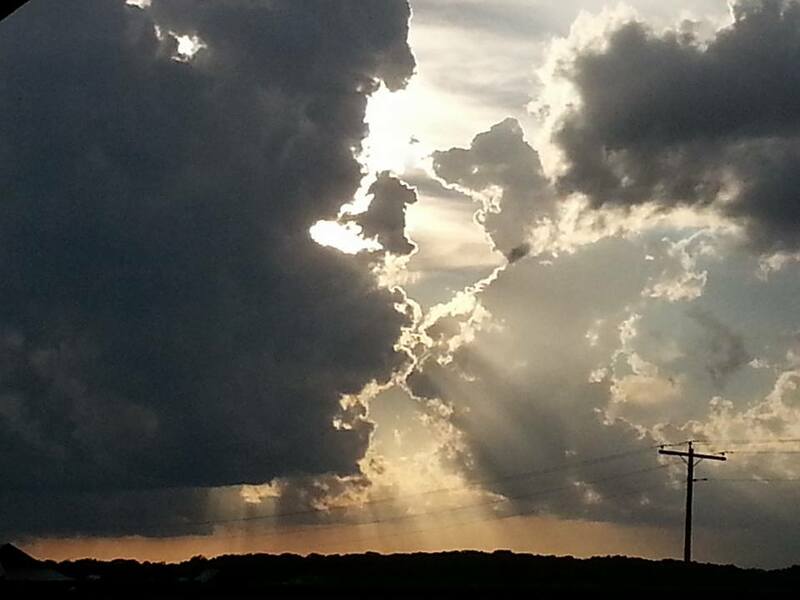 MM: Meyer Produce is located in Mason County, Illinois, 3 miles west of Manito. My wife, Shelly, along with our daughters Hannah, Paige, and Brooke, help on the farm. We raise about 250 acres of popcorn for Weaver Popcorn Co. Our biggest crops include 55 acres of fresh market sweet corn, 20 acres of watermelon, 20 acres of muskmelon, and 1-3 acres of peppers, in addition to various other vegetables on smaller acres. We also raise around 20 acres of pumpkins and squash in the fall and sell straw in the winter and spring. We also have 6 high tunnels that we raise tomatoes in to sell at roadside stands and farmers markets and have 90 acres of certified organic ground that we grow several different crops including, canning pumpkins, snap beans, soybeans, popcorn, seed corn, and field corn. AER: Sounds like you have quite the operation. Was this something you’ve always wanted to do? MM: I started raising and selling vegetables when I was in FFA. I then went on to get a degree in ag business/agriculture from Illinois State University. When I graduated, I worked for Thorp Seed Co. in Clinton, Illinois for 9 months. Then I went to work for a distillery for ten years and farmed on the side. AER: You must keep very busy. How do you divide up what gets done each day? MM: My wife helps keep track of taking orders in the summer, while my oldest and youngest daughters help sort corn and pick tomatoes. My middle daughter, Paige, works a produce stand. My dad, Bill, who originally raised seedless watermelon in the ’70’s still helps every day at the young age of 83. He takes care of the tomatoes in the high tunnels. AER: Do you still have a produce stand in your front yard? Where else can consumers purchase your vegetables? MM: We sell our produce locally at our flower shop in Manito and at several produce stands and farmers markets. When we’re really producing a lot, we also sell to a local federal prison. We deliver to grocery stores and 15-20 locals within an hour distance. This helps keep our volume up and utilize our acres if we have excess. We have locations in Pekin, East Peoria, Morton, and Manito. AER: Which AgriEnergy Resources products do you use? What benefits do you see from them? MM: We put SP-1 on all of our seed to get the bacteria started early in the soil. We also put an AgriEnergy mix of potassium, sulfur, and micronutrients with all of our 28% nitrogen, either knifed in or through the irrigations. The AgriEnergy Mix seems to really help hold the nitrogen from leaching in our sandy soils. We also use a Pivot Mix to put any nutrients we are short on through the irrigations. AER: In your opinion, what’s the most rewarding aspect of what you do? MM: The most rewarding aspect to me is being able to watch my girls work on the farm and understand where their food comes from. It’s also being able to keep dollars local. Our customers enjoy knowing the food is picked fresh and is healthier than food shipped across the country or the ocean. AER: Will you be adding any new crops for the next growing season? MM: We continually look for new markets and will expand if the right situations arise. At AgriEnergy Resources we’re big time supporters of biological farming and local foods. Thank you, Meyer Produce, for your dedication in growing healthy foods for the consumer! The market is demanding cleaner, naturally produced food. Customers thrive on key words such as “non-GMO” “gluten-free” “no preservatives” “no artificial flavoring” “USDA organic” “antibiotic-free” and “grass-fed.” Why the sudden shift? Why are today’s customers consumed with things like transparency, labeling, and ingredient lists? Why are huge, and very successful, corporations bending to meet their needs? Could it be a paradigm shift in our culture? Or, something deeper that is yet unknown? Last year we had the opportunity to speak on behalf of some of our customers in a national documentary, Organic Rising. Expected to be released later this year, it captures America’s explosive agricultural awakening through the voices of inspired mavericks and captivating visionaries who spearhead the country’s organic revolution. Years in the making, this feature documentary, for the first time ever, defines the positive impact organic agriculture has on human health and the environment while chronicling the movement’s implementation and participation in the USDA organic standards, its stunning growth, and the dynamic future that lies ahead. Organic Rising director Anthony Suau will share with us his findings at our upcoming seminar. Here’s a sneak peak of what’s to come. Anthony Suau is a Pulitzer Prize and an Emmy Award winning journalist. For thirty-five years he has documented the effects of major events on the lives of people around the world with a specific focus on revealing social, economic and political injustice. For more than twenty of those years he worked as a contract correspondent for TIME and the National Geographic Magazine. He is the author of four books and his work has appeared in thousands of publications, museums and films worldwide. Our seminar, Next Generation Farming: Yesterday’s Wisdom + Today’s Technology = Our Future, will be held from 8:30 a.m. – 5:00 p.m. Tuesday, January 26 at the Timber Creek Convention Center, 3300 Drew Avenue, Sandwich, Illinois 60548. A block of rooms have been reserved at the Timber Creek Inn & Suites (attached to the convention center) 630-273-6000. Please note, there is no charge to attend this seminar. Reservations were due by January 18, but we have a limited number of seats available. Please RSVP to AgriEnergy Resources 815-872-1190 or info@agrienergy.net. You wake up before the crack of dawn. Wash your steer. Dry your steer. Feed your steer. Fit your steer. THEN, it’s show time. You walk into the ring, sweat dripping down your back, heart a pounding. The judge walks slowly around the ring evaluating each and every steer. You catch his eye. He sees you. He keeps watching you and your animal. The ring is silent. You can hear a pin drop. Then in one swift movement he slaps your steer. Your eyes well up as you catch your families eyes in the stands. Your mom is snapping pictures like a crazy lady. Your dad’s fist goes in the air with a victory punch. Your brother is stunned. Your sister is in shock. You just won the Illinois Sate Fair junior steer show. You can’t believe it. You set out with a goal the previous year and you achieved it. The long hours spent in the barn have finally paid off. You won the whole show. While the entire audience can relate in your joy, there are some people, outside of the bleachers, who have no idea what it means to accomplish something as big as winning a livestock show. That is why, at this year’s Illinois State Fair, agriculture was brought back to the front and center, highlighting our state’s deep agricultural roots. And that is why, we at AgriEnergy Resources, are proud supporters of the Illinois State Fair. What was really neat about bringing agriculture back to the center of the fair, was that the championship drives was held in the Coliseum located right in the middle of the fairgrounds. Previously, the championship drives were held in the junior barns. 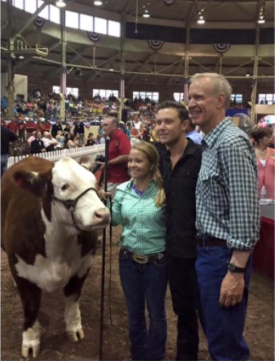 This year, people roaming the Midway had the opportunity to see for themselves how great agriculture is, including Governor Bruce Rauner and country music star and American Idol winner Scotty McCreery. They got in a bidding war during the auction of the grand champion steer. The governor ended up winning the bid with a record-breaking $61,000. Proceeds will go back to Illinois 4-H and FFA while the meat will be donated to the University of Illinois. All in all, it was a great year for the Illinois State Fair and all the exhibitors. There’s something to be said about the fair, whether you’re into livestock or not. Among the array of foods, concerts, tractor pulls, demolition derbies, horse races, rides, games, there’s something for everyone. We are so excited to see where the future of Illinois agriculture is heading and we can’t wait to visit our local county fair next week. What’s your favorite part about the fair?